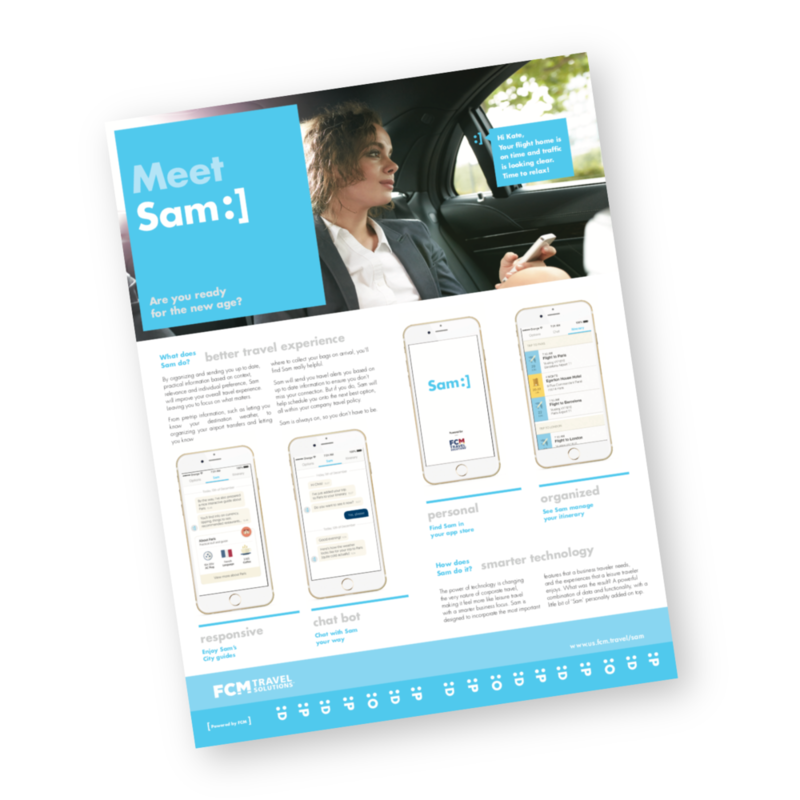 Sam :] is a mobile assistant and business travel app launched while working with Flight Centre Travel Group. I worked with our product manager to develop and deploy Sales training, we developed reporting tools with the development team to track app metrics and establish KPIs. The goal was to achieve as many installs across our largest clients as we could. We had a relatively low budget to advertise. We used LinkedIn to target existing clients and advertise, pushed out an email campaign informing travelers of the updated App and used Social Media and YouTube to promote to our prospective clients. Sam was initially launched exclusively to clients in the US and due to our successful campaigns, we released the app to our other regions, starting in UK & Europe and later Australia, Asia, etc.